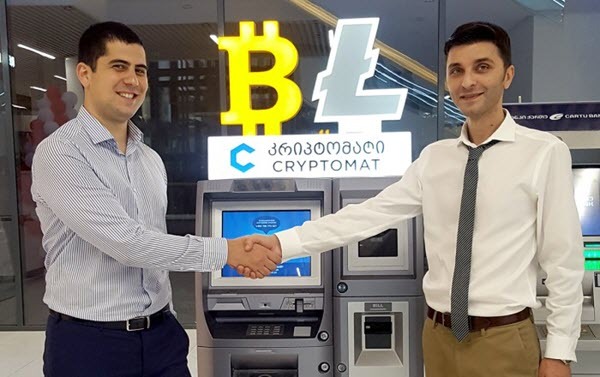 BS/2, a company specializing in banking solutions, and a crypto ATM manufacturer Cryptomat signed a service agreement on the cryptomate network maintenance. By the end of the year, it is planned to install in Georgian cities about 20 ATMs with function of buying bitcoins and litecoins. According to the World Bank, Georgia is the world’s third largest miner of cryptocurrencies. The surveys or show that up to 5% of households in the country are engaged in cryptocurrency mining or investments. The Lithuanian company is implementing a project in Georgia through its subsidiary BS/2 Georgia, which is responsible for servicing the first three ATMs. “The Georgian cryptocurrency market is constantly growing, so we want the residents and our guests to have the opportunity to buy cryptocurrency or pay off with it. We are pleased to collaborate with BS/2 Georgia, which has extensive experience in working with the largest commercial and state banks in Georgia. We hope that our cooperation in the field of cryptocurrency will also be useful and constructive,” says Cryptomat Director Ioseb Bolkvadze. According to I. Bolkvadze, crypto ATMs, despite their similarity with traditional ones, have some differences. The most important are the possibility of buying or selling the cryptocurrency, and performing financial transactions through electronic purses, and not by bankcards. “Because of growing interest of the banking industry in the cryptocurrency, this project is especially interesting for our company. We have implemented several innovative projects in Georgia, so it is especially pleasant that the partners chose our company for cooperation in the cryptocurrency area,” says Andrey Smirnov, BS/2 Georgia CEO. The company Cryptomat has been working since 2018 and covers the entire republic territory. The company provides delivery and cryptomate operation throughout Georgia. Using a cryptomate, the client can buy and sell lightcoins and bitcoins for the local currency – lari. The company’s goal is the facilitating the simplification, speed and availability of the purchase and sale/cashing operations.